Having the chance to intellectually engage with a theme park is rare and fantastic. 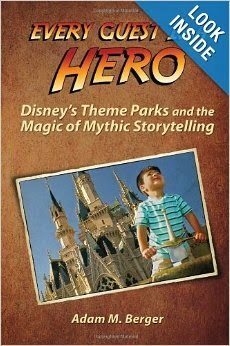 This opportunity is offered to readers through Every Guest is a Hero: Disney’s Theme Parks and the Magic of Storytelling by Adam M. Berger. Every Guest is a Hero is not your average Disney theme park book—It is not intended to be touted around the parks in order to dissect and categorize the attractions. Every Guest is a Hero is better read once the reader is home and snuggled up with a coffee after a Disney trip, ready for some intellectual stimulation and some “Ah-ha!” moments. Every Guest is a Hero exists to reveal “hidden levels” of the parks to readers and visitors, “adding a new dimension of enjoyment to your visits.” Every Guest is a Hero exists, ultimately, so that park visitors may view their experience in an entirely new way. It is therefore aimed at guests who are curious as to what is going on beneath the surface at the Disney parks; finding the “’mythic source code’ that is hidden in plain sight” throughout the parks, as Berger puts it. Berger accomplishes the dissection of this “mythic source code” first by psychologically identifying what makes Disney parks so enjoyable: Their ability to make each guest feel like the hero of their own story. 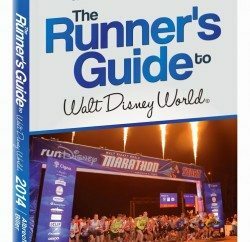 Berger then guides the reader through the “Hero’s Journey,” popularized by Joseph Campbell, and relates each part of it to specific elements that are present in one or all of the Disney parks. Finally, Berger zones in on ten individual attractions throughout the Disney parks that he feels represent the Hero’s Journey most fully. These attractions range from Mission: SPACE to Pirates of the Caribbean to Radiator Springs. Recommended to English majors and casual readers alike, Every Guest is a Hero is an excellent way to intellectually engage with the Disney parks, as it manages to capture very succinctly what makes the parks so enjoyable to so many people on a psychological and literary level. 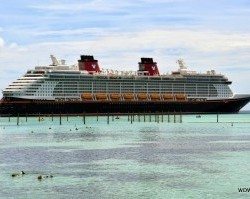 The simple reason for this lies in the title, and it is that Disneyland and Walt Disney World transport each guest into their own tale, and casts each guest as the hero of their own story—Every guest truly is a hero at the Disney parks. Editor’s Note: We received a complimentary review copy of Every Guest is a Hero. Our reviews are not influenced by receiving a review copy, nor are we compensated any other way for reviewing books. We may provide affiliate links where books can be purchased, but do this of our own volition. 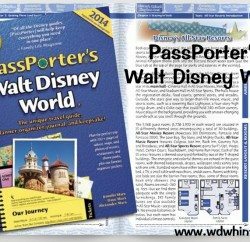 Previous PostMovie Review: Muppets Most Wanted Next PostQuick Hint on Ordering MagicBands for Annual Passholders!